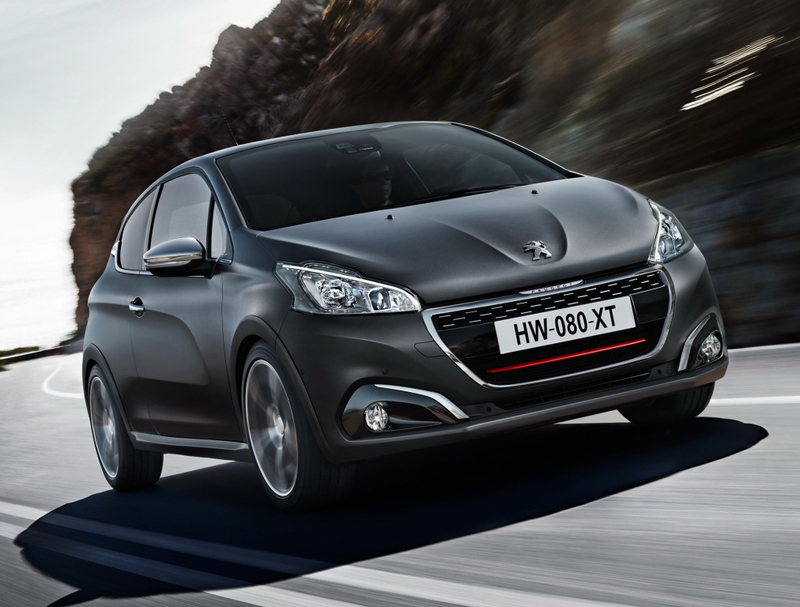 Three years after its launch, the PEUGEOT 208 – the brand’s best-selling model – has a new look. No area has been neglected in the creation of this new generation vehicle. The assertive styling, sportier and classier, elevated by the 3D LED rear lamps fitted as standard, with original colours such as the sparkling Orange Power and a new range of personalisation options. The range is expanded with the GT Line and GTi by PEUGEOT Sport, underlining the brand’s move up-market. More equipment is available to ease driving in urban conditions (Active City Brake, MirrorScreen, Reversing camera, Park Assist). The PureTech and BlueHDi meet the latest Euro 6 emissions standard with notably the most economical internal combustion engine in the world consuming only 3 litres per 100 km and producing just 79g of CO2 per km! 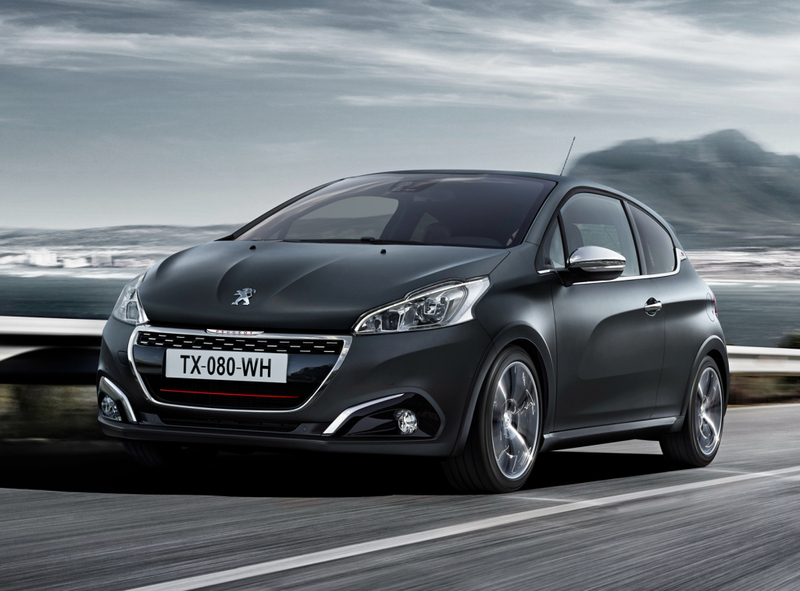 The new PEUGEOT 208 will be on sale in Europe from June 2015. With nearly 30 % of registrations, the B segment is the 2nd largest in volume in the European market. Despite the multitude of offers and body styles (notably SUV/CUV), the compact hatchback remains very largely in the majority with more than 2 in every 3 cars sold. 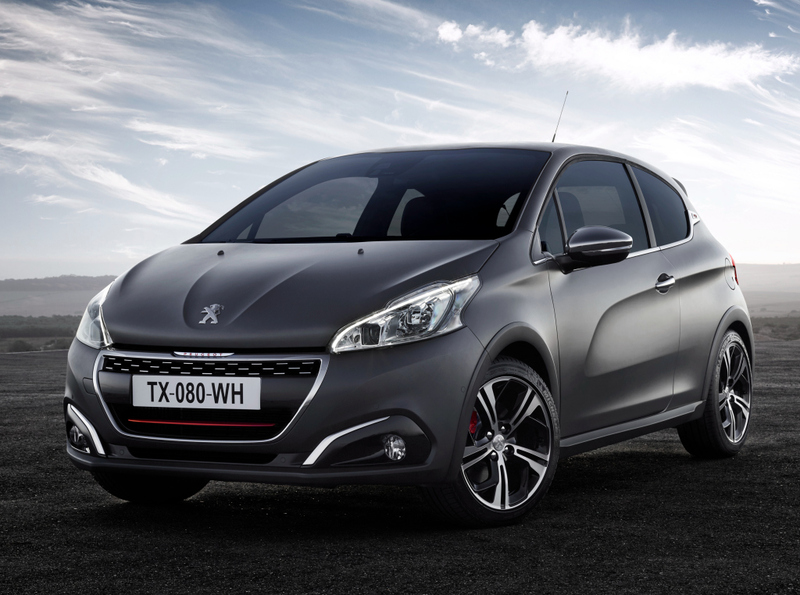 And the PEUGEOT 208 remains a key player in this ever more hotly contested segment. With the strength of the history of the 200 series and the brand’s know-how behind it, the first generation of PEUGEOT 208 will soon reach the 1,000,000 vehicles produced mark. 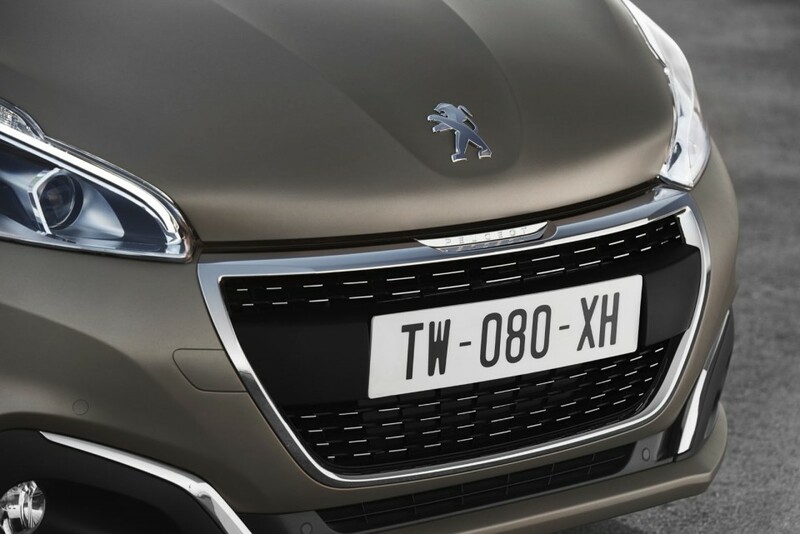 Together with the PEUGEOT 2008 urban crossover, it allows the PEUGEOT brand to confirm its place on the podium for sales in the B segment in Europe for 2014. 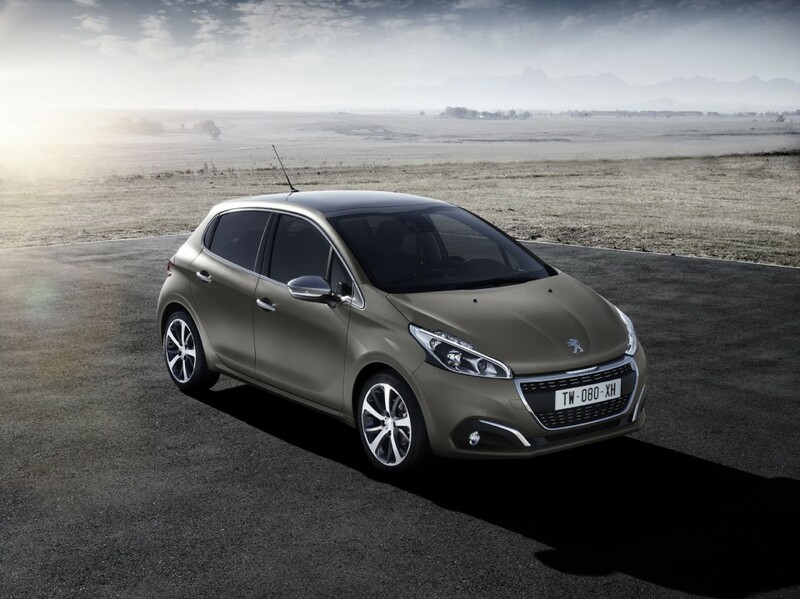 Since its launch, the PEUGEOT 208 has been judged an urban hatchback with a full and rich personality, perfectly in line with the brand’s values. All that contributes to the PEUGEOT 208’s character and allure do not change: the lines of the vehicle, both chic and sporty, the energetic and contemporary proportions and the carefully worked styling. Based on these undeniable qualities, the PEUGEOT designers set the objective of increasing the attractive and assertive nature of the model by giving it greater impact and making it more incisive. And of course, this new identity goes hand in hand with improved robustness and perceived quality. As a result, the new PEUGEOT 208 attracts from the first look, with its new styling, which is more assertive, robust and distinctive. At the front, the new bumper presents a sharper, more precise and muscular line. The wider grille and its thicker chrome finisher are now fully integrated into the bumper, as if they were carved from solid. They suggest the quality and robustness, characteristic of a PEUGEOT. On higher trim levels, the stamped chrome finisher on the new “EQUALIZER “grille gives it an original 3D effect. Combined with separate front foglamps, this new identity transforms the vehicle, making it wider, more dynamic and more “planted” on the road, immediately inviting the driver to take the wheel. Finally, this style is underlined at the front by new two-tone headlamps, with black and chrome masks structuring the lamp for a sharper look, and an LED light signature, a mark of felinity and technology. These new headlamps are fitted as standard from the second trim level. Seen from the side, the energetic and contemporary proportions of the model (reduced overhangs, contained height) and the carefully worked styling (sculpted sides, chrome window surrounds, etc.) are retained. 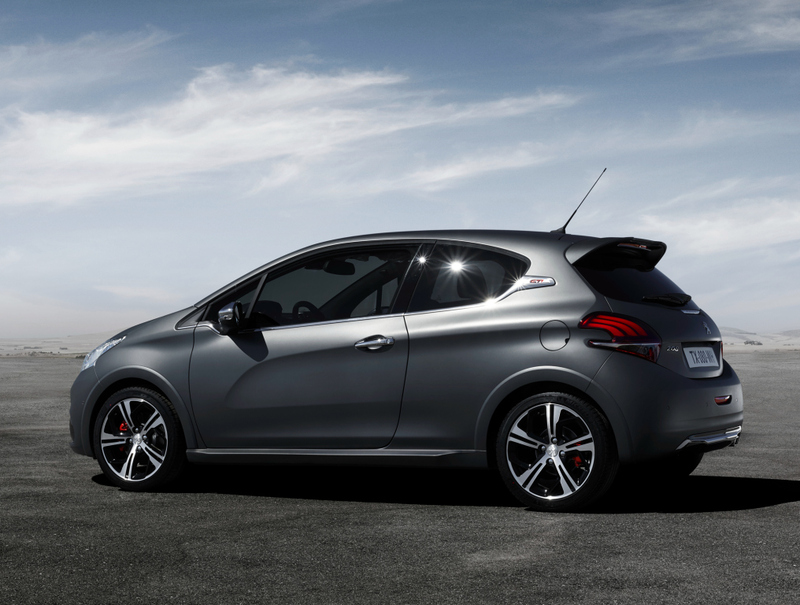 However, the profile of the new PEUGEOT 208 can be distinguished by its new equipment, shown to advantage. 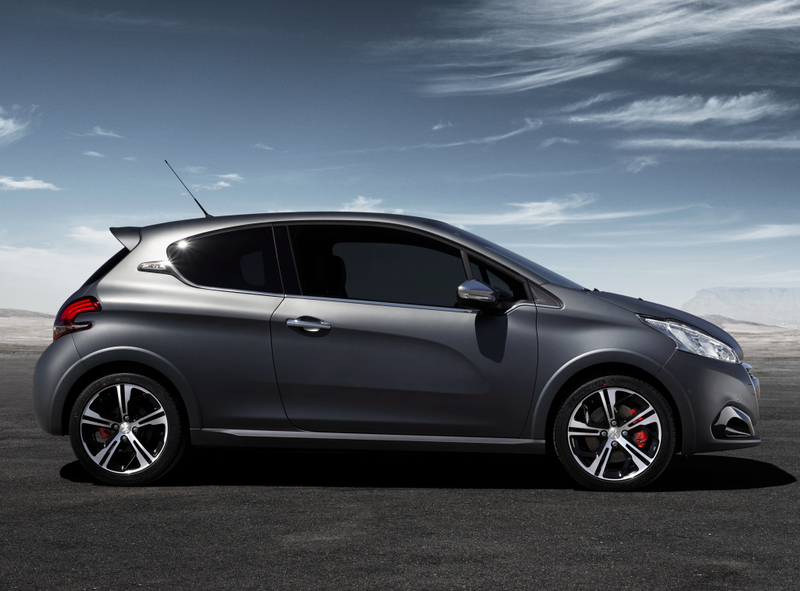 Accordingly, new wheels are available across the range, from the 15’’ NIOBIUM wheel trims to the 17’’ CARBONE wheels and the “Storm Mat “ look on the PEUGEOT 208 GTi, including also the 16’’ TITANE alloy wheels. Different types of 16’’ and 17‘’ alloy wheels are now available as options, reinforcing their exclusiveness: painted, diamante or with innovative sequential diamante or laser engraved finishes. In addition, chrome door mirror shells are now standard from trim level 3, strengthening both the chic and sporty nature of the model. At the rear, the lamps with their new 3D LED claws, captivate and surprise. Their very uniform look, opaline red-hot colour and very deep 3D effect make them real technological jewels. These lamps, with their three claws, symbols of PEUGEOT styling, are fitted across the range. Inside the new PEUGEOT 208 we find the PEUGEOT i-Cockpit, an innovative arrangement of instruments and controls that has been warmly received by customers since launch. In 2012, the PEUGEOT 208 introduced this totally original concept, which delivers a stimulating, incisive and safe drive, since also adopted by the PEUGEOT 2008 and 308. The PEUGEOT i-Cockpit comprises a compact steering wheel, a head-up instrument panel and a large touch screen. The compact wheel, combined with the compactness of the new PEUGEOT 208 – less than 4 metres in length – makes the vehicle agile and ultra-easy to handle in town, delivering true driving pleasure. This wheel is now trimmed in full-grain leather from trim level 3 and contributes toward the warm and satisfying interior ambience. The moulded dashboard strip, standard regardless of trim level, has new graining on the upper trim levels. Its soft touch and refined finish give the body of the dashboard an even higher quality presentation. The head-up instrument panel places the essential driving information in the driver’s field of vision, for greater comfort and safety. Its restrained and elegant design, white lighting ambience and central display screen assure the precision and legibility of driving information. Top of the range versions remain clearly identified by fine LED rings around the analogue dials (blue on level 4, red on GTi). Its large 7’’ touch screen, standard from the second trim level, provides intuitive and easy access to all systems (audio, navigation, telephone, vehicle information, internet). Furthermore, it brings with it the best of on-board connectivity: Bluetooth and USB, mobile applications via PEUGEOT Connect Apps and the new MirrorScreen system that makes it possible to transfer the screen of a smartphone to the vehicle’s screen, to make full use of its applications. Finally, the interior of the new PEUGEOT 208 benefits from an original lighting ambience. Pure and modern white backlighting is used for the instrument panel and its needles, as well as for all of the controls, and on all trim levels. The LED courtesy lamp and the blue light guides in the panoramic roof contribute towards this technological, calm and refined ambience. 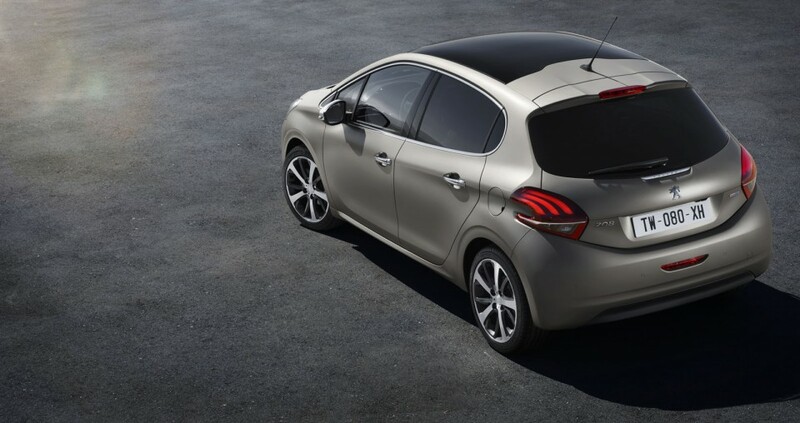 The range of colours and paint finishes (flat, metallic, pearlescent) available on the new PEUGEOT 208 is expanded with new colours. With a rich and varied range of 13 colours, it meets a growing demand from customers looking for differentiation and exclusiveness. The new metallic Orange POWER is dynamic, young and fresh. With its lively appeal, this very trendy and joyful colour sparkles and enhances the overall look and feel of the vehicle. Other colours will be revealed very shortly. 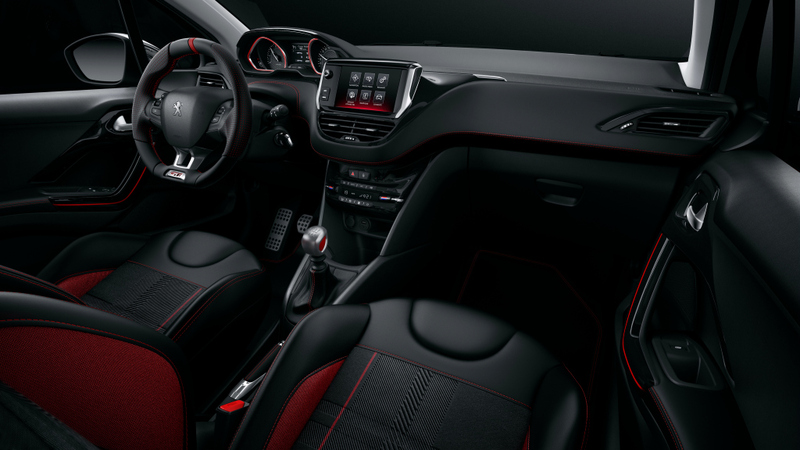 The new PEUGEOT 208 is well connected with its time and offers; in addition to its wide model range and many systems, a variety of unique personalisation possibilities full of originality. Exterior personalisation packs, including MENTHOL White, are available as a factory option from the second trim level. With its touches of white, the MENTHOL White pack provides a dynamic and elegant ambience. • Perla Nera black door mirror shells and coloured side repeaters*. An additional exterior personalisation pack and interior personalisation packs will be available from launch. 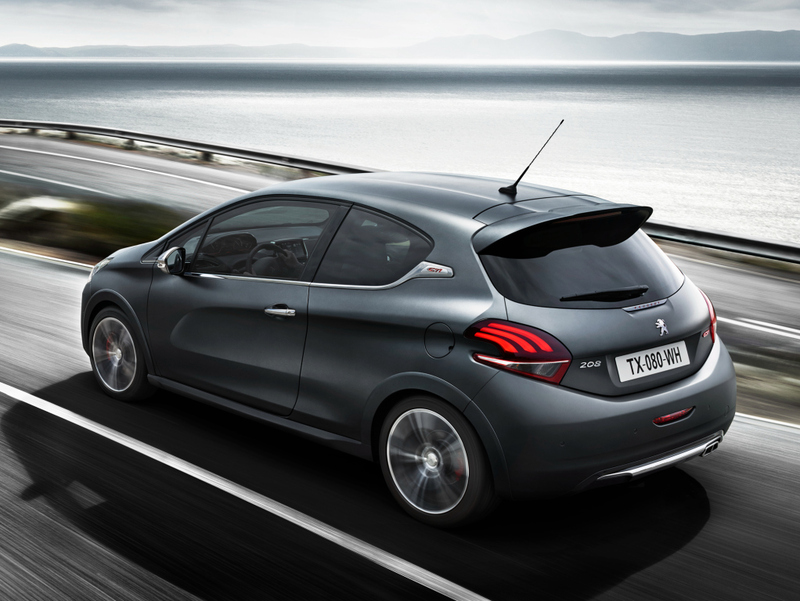 The PEUGEOT 208 already benefits from an extended and rich range of distinctive and expressive versions. 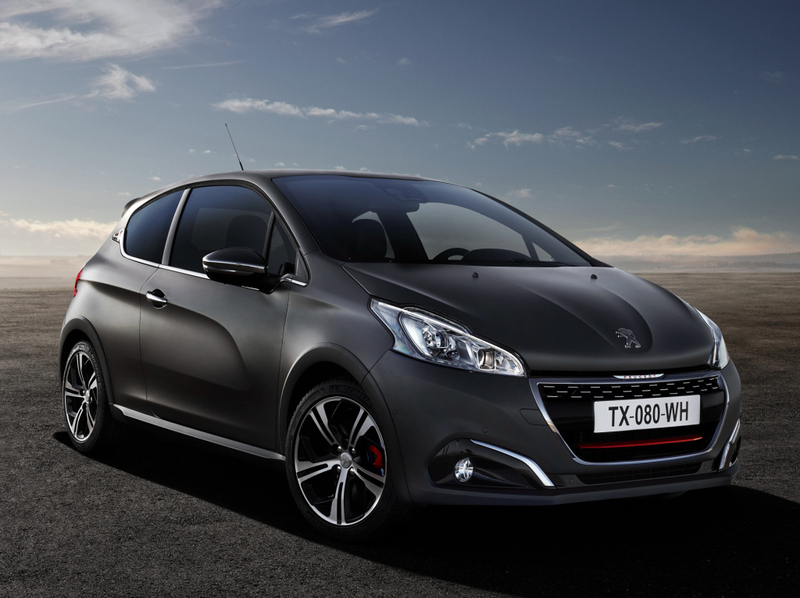 As with its 308, 508 and RCZ sisters, the new PEUGEOT 208 continues its move up-market with the arrival of the GT Line trim level. This approach, applied across the PEUGEOT range, allows customers to be offered a vehicle with strong, dynamic and sporty styling, while using engines from the core range. So with the GT Line, the new PEUGEOT 208 adopts some of the styling attributes of the emblematic and sporty GTi version. • Red PEUGEOT lettering front and rear. Fitting between the top of the range trim levels and the sporty GTi version, the new PEUGEOT 208 GT Line expands the range while building on the brand’s strategy of moving up-market. 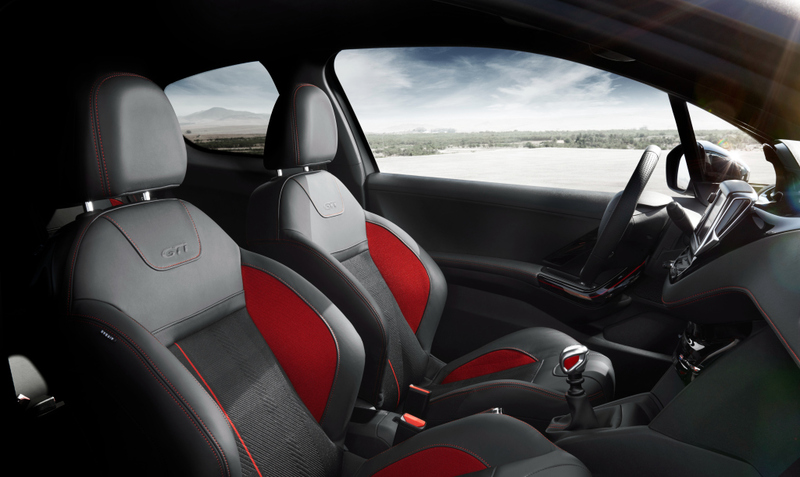 Finally we would note that following the success of the GTi 30th, the most exclusive and radical GTi is now a normal part of the range in the form of a GTi by PEUGEOT Sport version. Incorporating the new PEUGEOT Sport identity, this version adopts the styling pack (lowered ride height, wider tracks, large 18’’ wheels, matt black exterior parts, bucket seats, red mats, “straight cut” paintwork, etc.) and high performance parts (Brembo front brakes, Torsen limited slip differential, specific suspension and steering settings, Michelin Pilot Super Sport tyres) developed by PEUGEOT Sport. 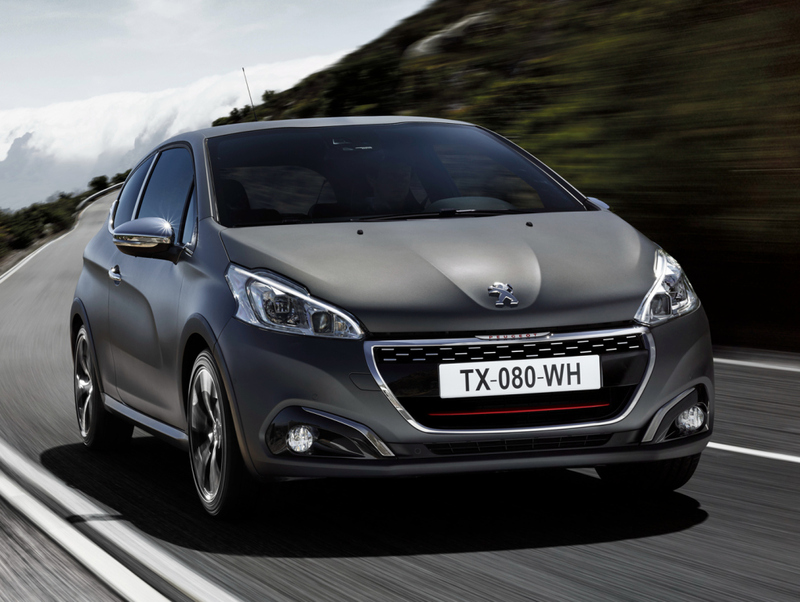 This version crowns the new PEUGEOT 208 range, carrying in full the history of the PEUGEOT 200 series. The PEUGEOT 208 was one of the first vehicles in the segment to make touch technology and connectivity widely available, with its large 7-inch screen being fitted to more than 80% of versions sold since launch. It is also one of the rare hatches in the segment to offer the option of Park Assist, an active parking assistance system allowing a vehicle to park in and leave a parallel parking space automatically. Today, the new PEUGEOT 208 maintains this lead by offering two new systems associated with urban use of the vehicle: Active City Brake and the Reversing camera. The Active City Brake technology (automatic urban braking when there is a risk of collision) is a new system that makes it possible to avoid an accident or reduce its seriousness if the driver fails to react, in urban conditions at less than 20 mph (30 km/h). A short range sensor (Lidar) is fitted at the top of the windscreen and can detect other vehicles driving in the same direction or stationary. The system can automatically generate maximum braking to avoid a collision or decrease potential consequences by reducing the speed of impact. In some cases, this can automatically bring the vehicle to a complete stop and avoid a collision with the vehicle ahead. The reversing camera, available as an option from the second trim level, uses the large colour screen and facilitates everyday parking manoeuvres. This driving aid displays the outline of the vehicle and its trajectory by means of coloured lines, so making manoeuvres safe and easy. Connected to its time, the new PEUGEOT 208 offers the MirrorScreen function, allowing the user to duplicate the screen of their smartphone compatible with Mirrorlink® or Carplay® displayed on the vehicle’s touch screen, so as to easily make use of the best of its applications. This solution combines all of the advantages, maintaining the visibility and ergonomics of the mobile applications in complete safety, while benefitting from the size of the PEUGEOT 208’s touch screen. 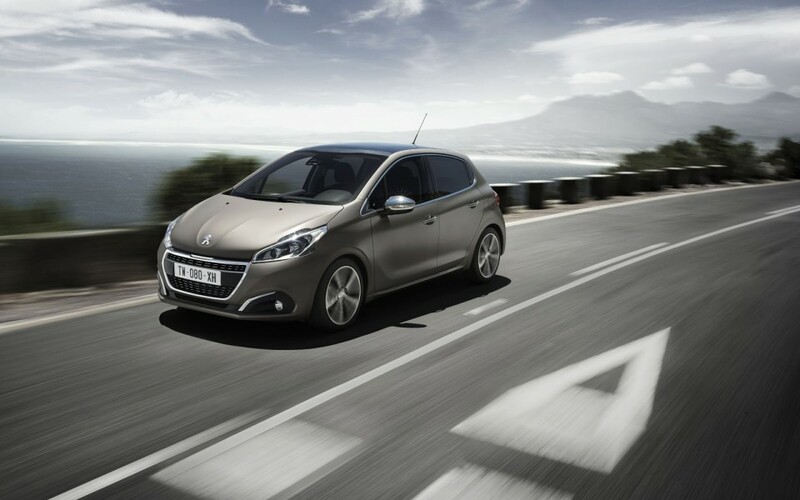 The PEUGEOT 208 continues to offer PEUGEOT Connect SOS & Assistance, allowing localised automatic emergency and assistance calls, sending appropriate assistance in the event of a problem. This connected service, a precursor as it dates from 2003, was made possible since 2010 via an independent telematic unit. More than a million PEUGEOT vehicles in Europe are fitted with or are compatible with PEUGEOT Connect SOS & Assistance. • The Tracking Pack : geo-location of the vehicle in the event of theft. In the same way, the PEUGEOT Connect Apps are accessible via the PEUGEOT 208’s touch screen, thanks to a 3G key available as an option. In this case, a range of 18 connected services provide the driver with practical information in real time to facilitate everyday driving: free parking spaces nearby, fuel prices at filling stations in the area, traffic information, weather, tourist information from the Michelin guide (red guide and green guide), directory, as well as TripAdvisor or the Coyote application (available depending on country). New ultra-efficient engines with CO2 emissions from 79g/km, a world record! 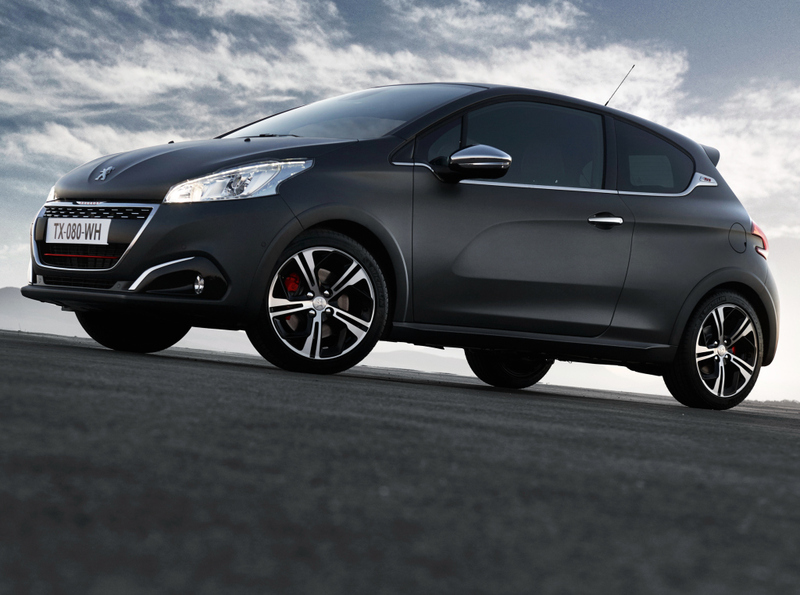 Since its launch, the PEUGEOT 208 has been recognised for its remarkable dynamic performance. Its compact size, lightness, aerodynamics and handling, examples of the brand’s best know-how, deliver a perfect combination of comfort and road holding. Associated with a wide range of petrol and Diesel engines of the latest generation, all meeting the Euro 6 emissions standard in Europe, these qualities are accompanied by performance and economy in use that are a benchmark for the segment. The new PEUGEOT 208 also benefits at launch from the new EAT6 (Efficient Automatic Transmission 6) 6-speed automatic gearbox. 1.6 litre BlueHDi: the best Diesel in the market… quite simply! The BlueHDi technology is confirmed as the most effective Diesel emissions control system on the market. These new engines, associating the best of Diesel with ground-breaking CO2 emissions and fuel consumption – all are below 95 g CO2/ km - and make the 1.6 litre BlueHDi family the best Diesel engines in the market! With the exception of the entry level 75 hp version, they are all fitted with the Stop & Start system using a heavy-duty starter motor. • 1.6 litre BlueHDi 75 S&S and 1.6 litre BlueHDi 100 S&S, coupled with a 5-speed manual gearbox, the standard versions of which (without S&S on the 75 hp version) achieve CO2 emissions of 90g and 87g /km, and on very low fuel consumption versions produce only 79 g CO2/ km for a fuel consumption of only 3,0 litres per 100 km. A record for the segment, and in the market ! • The 1.6 litre BlueHDi 120 S&S, coupled with a 6-speed manual gearbox, produces only 94 g CO2/ km with driveability of performance of the highest level. Following the launch of the naturally aspirated 1.0 litre PureTech 68 and 1.2 litre PureTech 82 engines, the PureTech family of three-cylinder petrol engines is expanded with the 1.2 litre turbocharged PureTech 110 S&S version. Modular and compact, clean and high-performance, this engine is a concentrate of efficiency and the latest technology. With a high pressure (200 bar) direct injection system, a new-generation high-efficiency turbocharger (running at 240, 000 rpm), it offers driveability among the best in the market, and this from very low engine speed. Coupled with a 5-speed manual gearbox, this engine achieves remarkably contained CO2 emissions of 103 g / km. It can also be coupled with the EAT6 automatic gearbox. Made by AISIN, this new automatic gearbox uses Quickshift technology allowing faster gear changes, while still ensuring fluid operation and pleasure in use of the highest level. It has also been designed to drastically lower CO2 emissions. As a result, the difference in emissions compared to the version with manual transmission is reduced to 1g/km (with the same tyre fitment). With an official CO2 emissions figure of 104 g / km, the 1.2 litre PureTech 110 S&S EAT6 is the reference in terms of a petrol automatic transmission in its segment. It also achieves a reduction of 45 g CO2 / km compared to the previous generation (the 1.6 litre VTi 120 automatic)! At launch in Europe, the petrol range on the new PEUGEOT 208 is therefore very wide, going from 68 hp to… 208 hp with the fantastic 1.6 litre THP 208 engine fitted to the sporty GTi and GTi by PEUGEOT Sport versions. At the same time, the fuel consumption and CO2 emissions figures are remarkably well contained as the latter are between just 97g and 129 g / km! • 1.6 litre THP 208 hp S&S, 6-speed manual; 125 g/km. In addition to its comfort and driving pleasure, the new PEUGEOT 208 is still fitted as standard with all of the safety systems that allow it to earn five stars in the EuroNCap tests (ESP, ABS, EBA, EBFD etc.). This level of passive safety and the arrival of Active City Brake (automatic urban braking when there is a risk of collision) make the new PEUGEOT 208 one of the safest cars in the segment. Produced both in Poissy (France) and Trnava (Slovakia) for all destinations in Europe, sales will start from mid-June 2015. Colore a parte, è migliorata tantissimo! Sembra pur sempre un leggero maquillage. Comunque son curioso, secondo me potrebbe migliorare molto a seconda degli interventi. 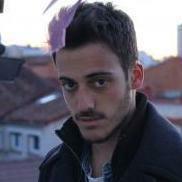 Per me è boh: devo vederla in altre tinte prima di giudicarla. Comunque il solo fatto di aver tolto i due spermatozoi nella parte bassa del paraurti la fa migliorare tantissimo! Migliorata, ma di poco, continua a darmi l'impressione di "disordinato".